Katie Warren/Business InsiderJordana Gaines spent $US147 on her Valkyrie cosplay. 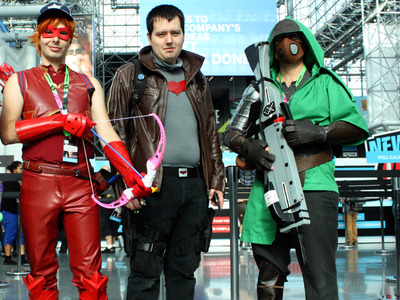 New YorkComic Con kicked off this week at Javits Convention Center in Manhattan. 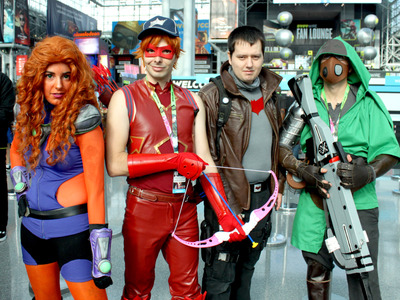 Many people dressed up as their favourite characters from comics, movies, TV shows, and video games. 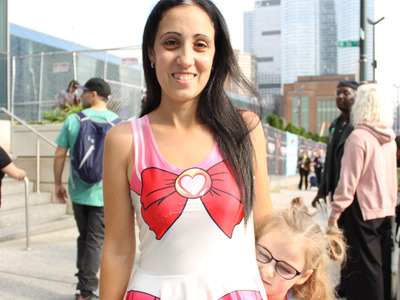 We asked 17 people on the first day of the event how much money they spent on their costumes. 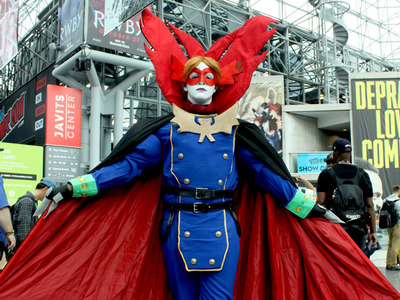 The cosplayers surveyed spent between $US20 and $US1,000. 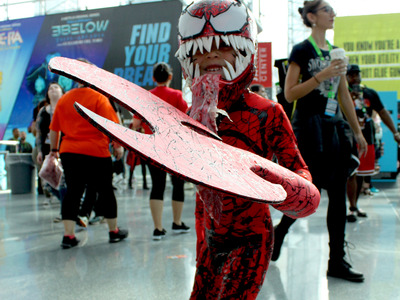 Thousands of people converged on a New York City convention center on Thursday for the first day of New York Comic Con – and many of them donned elaborate costumes that they’d spent months and hundreds of dollars creating. We asked 17 people about their cosplays – who they were portraying, how they put them together, and how much they cost. 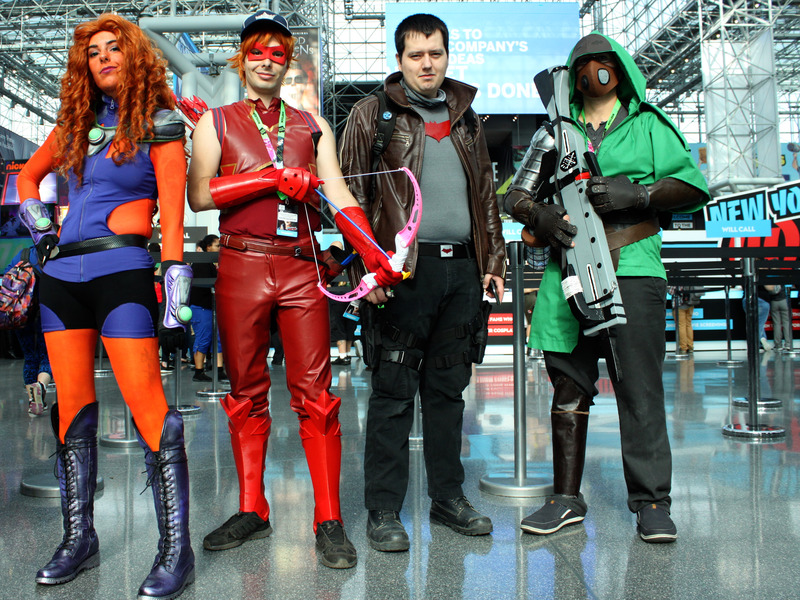 This group of friends travelled to New York Comic Con from Québec. 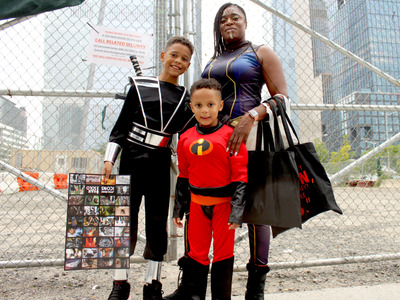 Mary Chretien, left, cosplayed as Starfire from DC. 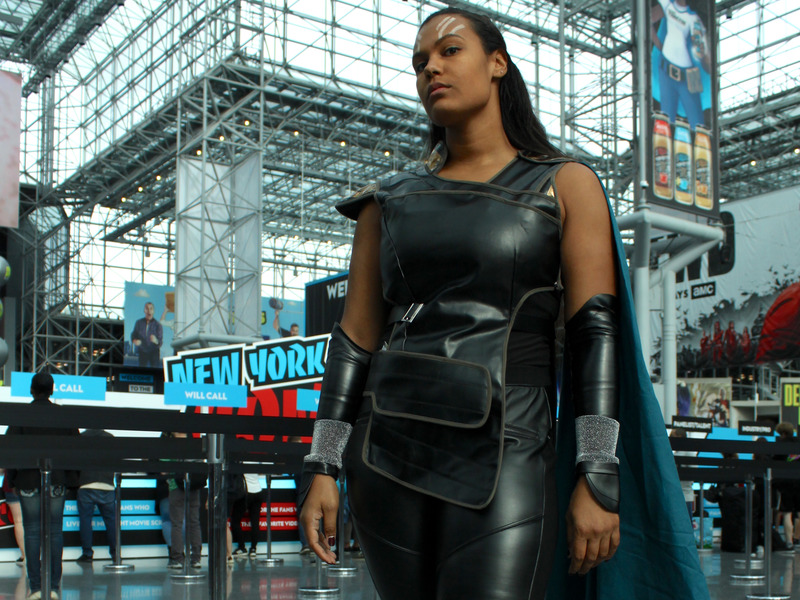 She said her costume took about eight hours to make and cost $US50. Her shoulder and arm pieces are sporting gear, she said. “I just painted it black and put some bling bling on it,” she said. Tommy Bergeron dressed as a character from the Monster Hunter World video game. He made the leather pieces and bought the rest, spending about $US1,000 total. Tommy’s brother, Felix Bergeron, center, cosplayed as Red Hood from DC. 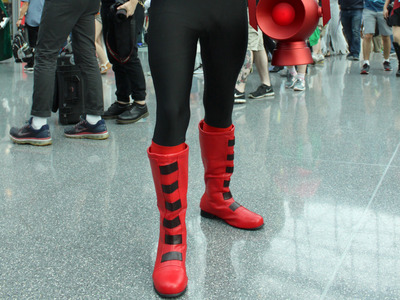 The red plastic piece on his chest was printed from a 3D printer, and the rest of the costume cost about $US100, he said. 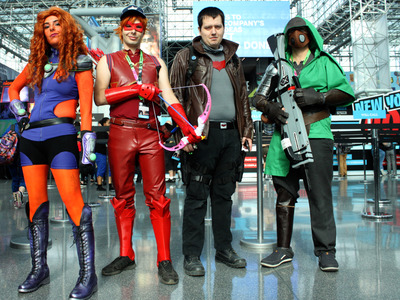 Sebastien Perreault, center, cosplayed as Arsenal from DC Comics. 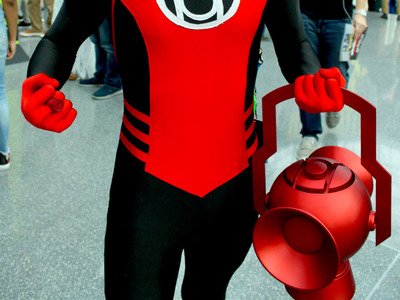 He said most of his costume was bought secondhand for about $US100. 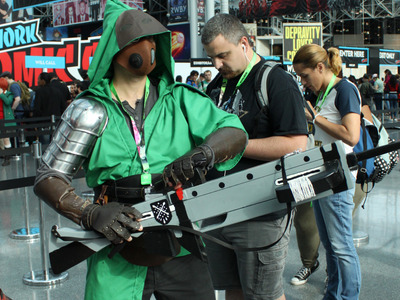 His plastic arm and boot attachments, however, were made from a 3D printer bought for about $US500. Each piece took 30 hours to print and the plastic cost $US30 per kilo, he said. 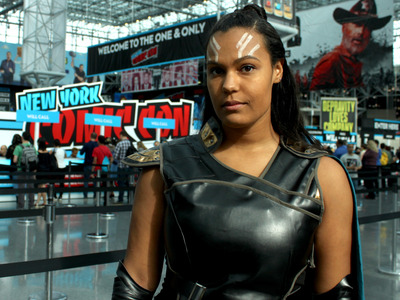 Jordana Gaines came to Comic Con from Long Island dressed as Valkyrie from Marvel. She spent about $US147 on her costume, she said. She ordered the top, the cape, and the arm pieces on Amazon for $US70. 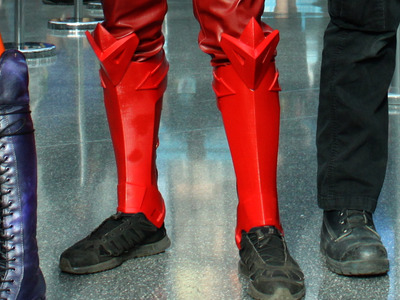 The boots cost $US30 and the pants were $US40. Her only other expense was a $US7 eyeliner pen. 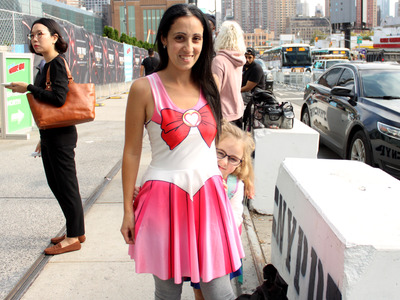 Melissa Campbell and her daughter, from Long Island, dressed up as Sailor Chibi Moon and Sailor Moon, respectively. 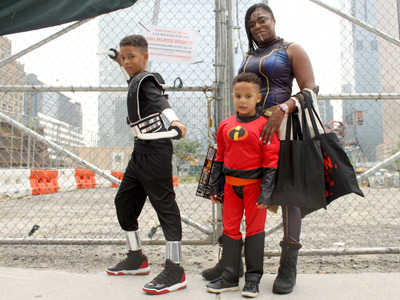 They ordered the costumes on Amazon for about $US20 each. Shayanne Beguilla, who lives in Harlem, cosplayed the Red Lantern. He ordered his costume online for $US40. He got his boots from the Halloween Adventure Store near Union Square in New York City. 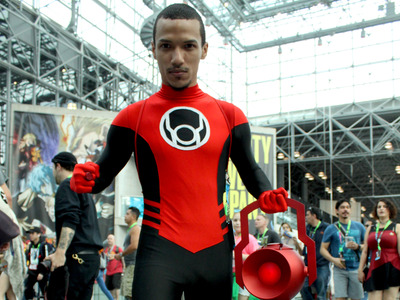 Beguilla’s friend, Andres Delanuez, came to Comic Con from the Dominican Republic. His handmade cosplay of a Digimon called Myotismon cost almost $US500, according to Beguilla, who answered for his friend because he said he didn’t speak English very well. 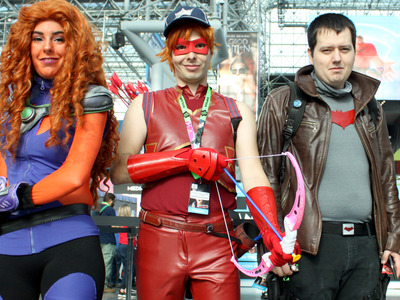 Beguilla said his friend goes to Comic Con in Puerto Rico and other locations. “He does this professionally,” he said. 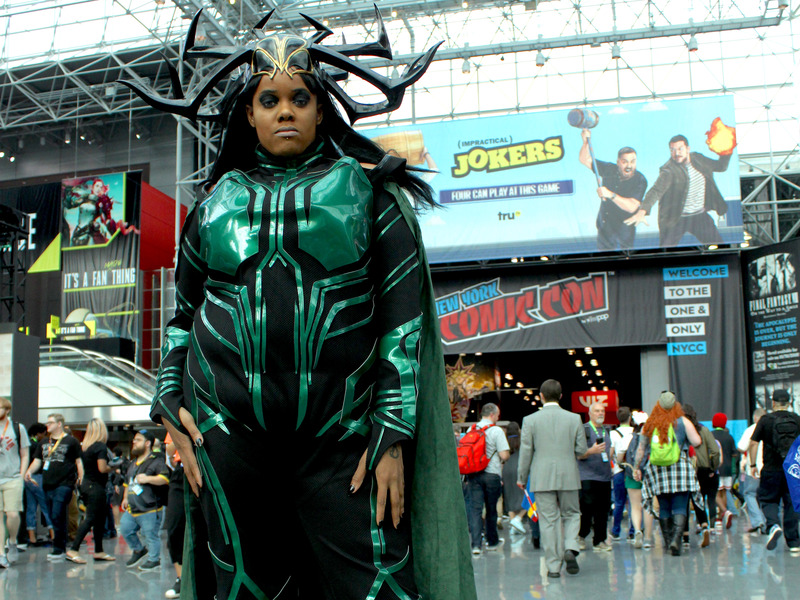 Helen Testamark cosplayed Hela from Marvel Comics, who appeared in “Thor: Ragnarok.” Testamark said she started her costume earlier this year and worked on it for months. 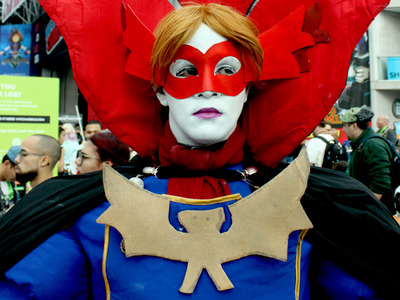 Her cape and head piece were ordered online, but she made the rest of the costume. 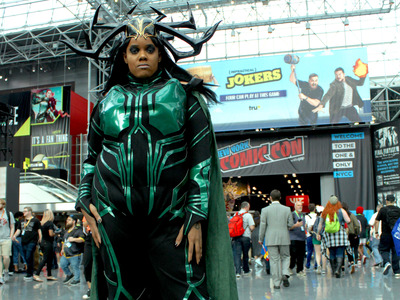 Testamark said she sewed the green patterns onto a black jumpsuit. The costume cost her about $US300. 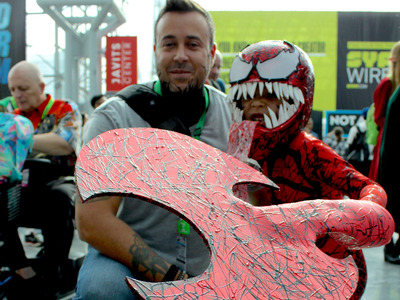 Jose Tirado cosplayed as Eddie Brock before he fully turned into Venom, and his son dressed as Carnage, both from Marvel Comics. Tirado said his own face paint was a last-minute addition to make his son feel more comfortable. 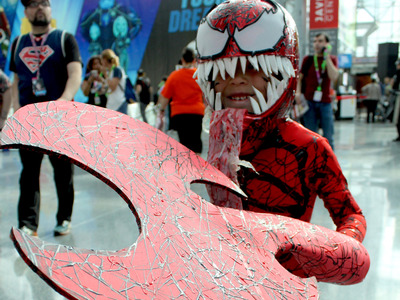 “The idea is to show that he’s inside and Carnage is taking over his body,” Tirado said. 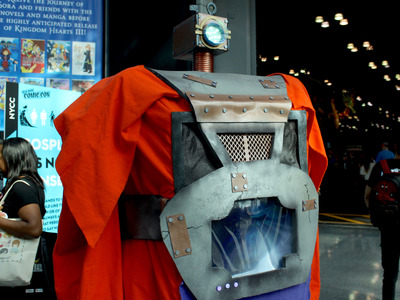 Aaron Thompson, cosplaying as Arnim Zola from Marvel, called his costume a “sculpture.” He started working on his costume, which is made from materials including fabric, foam, and PVC pipes, at the beginning of the summer. He said the whole thing cost him around $US300. 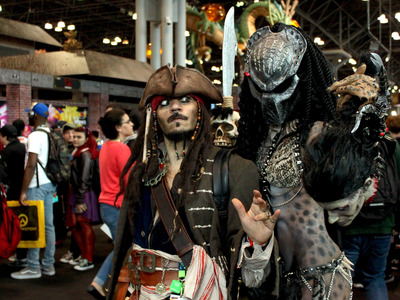 Barbie Chula, who is from Italy but lives in New York City, spent about $US1,000 on her Predator cosplay. She started making it by hand five months ago, sourcing materials from Halloween stores, Michael’s, and other craft stores. 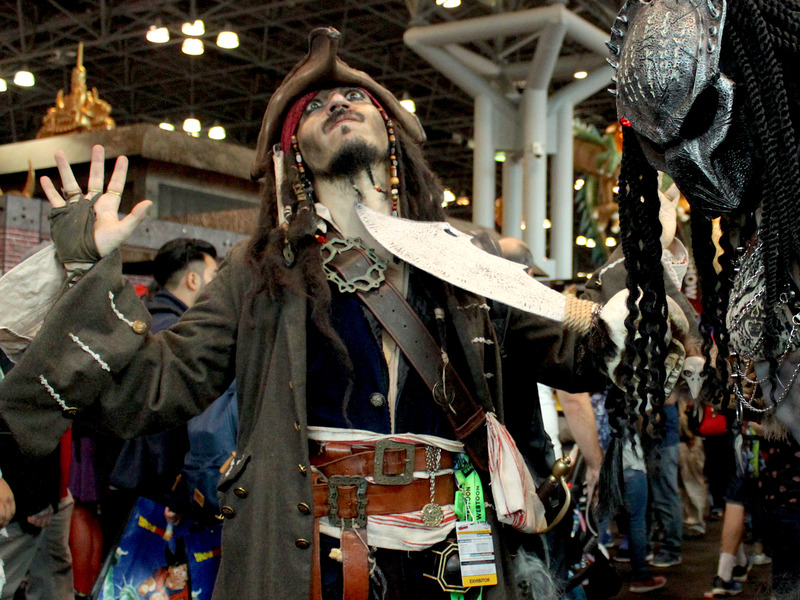 “I painted it, glued it together, made my chain and everything,” Chula said, posing with a Jack Sparrow from Pirates of the Caribbean cosplayer. Mariano Sansibieri, who came to Comic Con from Argentina, said he spent 15,000 pesos on his Jack Sparrow cosplay, or about $US785. 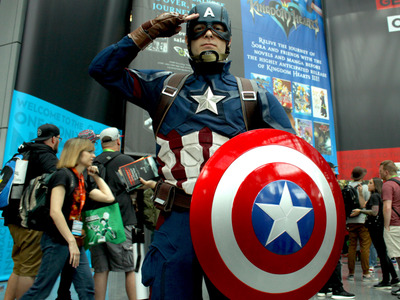 Nick Fox said his Captain America costume came from a company in Pakistan that makes it exactly how it is in the movie. 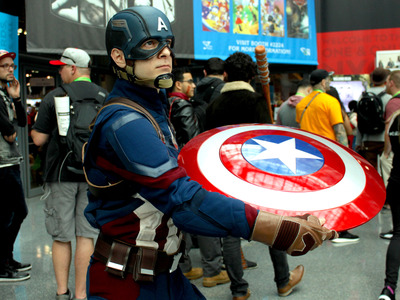 The shield and the helmet are from a Chinese brand, Fox said. 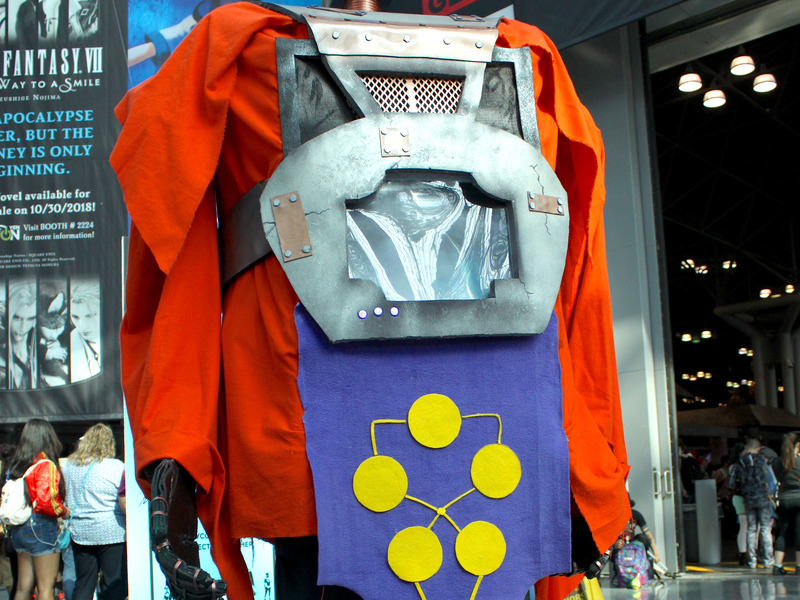 In total, the cosplay cost him about $US900. 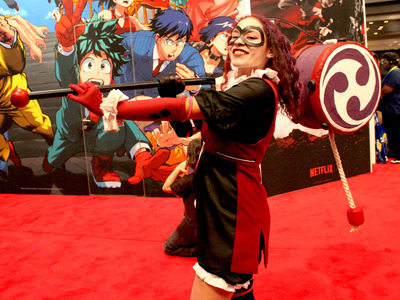 Alexis McCarthy, from New Jersey, cosplayed Harley Quinn from the 2018 film Batman Ninja. “The second I saw the movie I [knew I] had to do it,” she said. McCarthy made the mallet by hand from styrofoam, plaster sheets, a large piece of rope, and other materials. 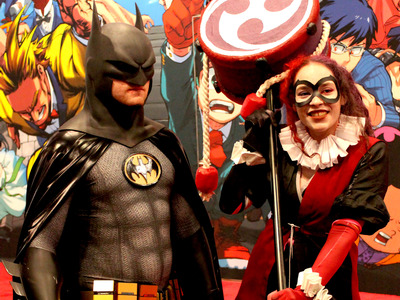 Her costume cost $US115 and the mallet supplies cost about $US200, bringing the total to about $US315. 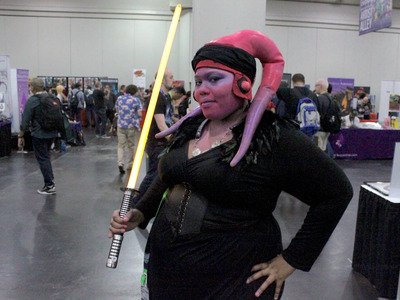 Ellen Rick dressed as a Twi’lek Jedi because she’s a huge fun of “Star Wars” and she used to play a Twi’lek character in a video game. “I was like, you know, I’d really like to play my character,” she said. “This is like a budget cosplay because my skirt and my top were like $US5 on Amazon,” Rick said. 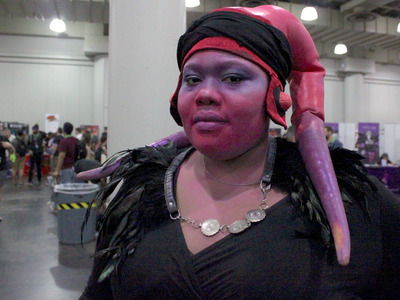 Her headpiece, on the other hand, which is made of latex, cost her about $US300 to make.